Following on from Grant Robertson’s speech to the Labour Party Conference yesterday the Future of Work’s Commission’s report has now been released. The document is complex and at 68 pages will take some time to analyse. No doubt the Government will be screening the report page by page for any weaknesses or proposals that can be spun out of recognition, such is politics. There is a handy table containing all of the 63 recommendations, which include proposals to provide universal high speed internet to the more specific such as changing Government procurement rules so that local intellectual property owners will be prioritised. There are some that will attract attention in due course such as the proposal to establish a Young Entrepreneurs Plan proving $20,000 towards starting a new business. One of the more interesting passages in the report contains a tentative suggestion that the Government should work towards the implementation of a universal basic income. The increased insecurity in the workforce also prompts a discussion about the way the state provides access to the income required not just to survive, but to live. 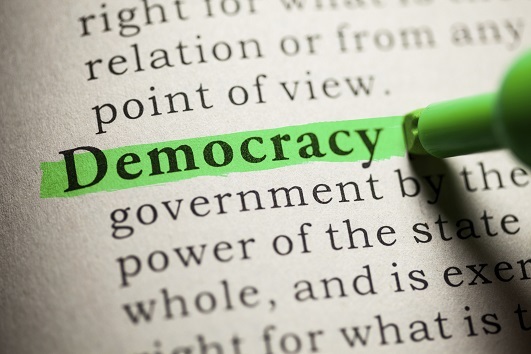 This could include investigating new approaches to ensure every citizen has a reliable income that provides a reasonable standard of living, no matter their circumstances, and is delivered equitably and efficiently. An example frequently proposed to the Commission is a Universal Basic Income (UBI). This is a guaranteed basic payment made to all adult citizens, no matter their employment status. It would eliminate the need for many of the criteria-based bene ts currently available. The idea found strong public support and could result in significant administrative savings for the Government. While largely untested, trials have been undertaken in the past in Canada and India, and are currently being developed in Finland and the Netherlands. Labour leader Andrew Little has proposed a tax on employers who rely on workers from overseas instead of training local workers saying it was a way to make sure businesses were “doing their bit”. The ‘training levy’ would be imposed on businesses in areas of skills shortages, such as chefs, construction, IT and tour guides where migrant workers are used. However, companies that could prove they were already actively training New Zealanders for such jobs would be exempt. 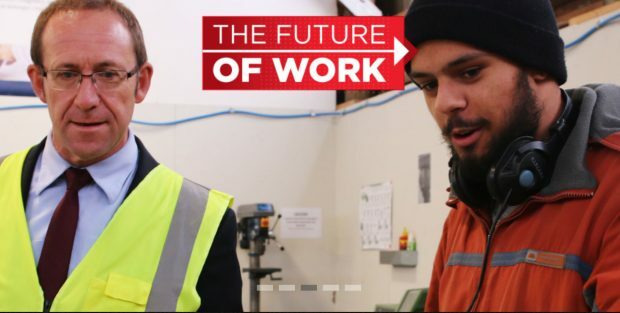 The proposal for a training levy is included in Labour’s ‘Future of Work’ Commission report which is being released at the party’s annual conference in Auckland today. On The Nation, Little denied it was a measure aimed at deterring businesses from bringing in migrant labour, saying immigration would always be needed. He said in any industry some businesses were investing in training local workers and taking on apprentices. “But they do it and others in the same industry don’t do it. We propose that the Government acknowledge volunteer work alongside paid employment. No doubt the proposal will be attacked by some. But in a world where traditional work is disappearing the proposal will allow people to make meaningful contributions to their community. Now all we need to do is share the world’s wealth around so that people can afford to make a meaningful contribution to their community. The voluntary work proposal sounds interesting, but it will need to come with a benefit increase. Why? Do you not understand what voluntary means? Can’t understand why they aren’t just tweaking immigration policy instruments. Far more efficient and targeted than a new tax. And that is the one things the Nats will (and are) focussing on. So far the future of work initiatives look top down. This limits the speed at which they could grow. In Asia the traditional approach to stimulating small business has been to build markets where people can sell things – typically produce – with very modest rents. This benefits consumers and small producers – and it’s bottom up. Clusters sound promising but need an a strong growth imperative rather than a tenuous subsistence. Some thought should be given to axing Treasury, whose profoundly dodgy math we have to thank for mistakes like Compass, which supplanted local meals on wheels with an inferior service and has already demonstrated that no savings will be achieved. Treasury is the most expensive mistake in New Zealand. thought should be given to axing Treasury, whose profoundly dodgy math we have to thank for mistakes like Compass, which supplanted local meals on wheels with an inferior service and has already demonstrated that no savings will be achieved. Treasury is the most expensive mistake in New Zealand. Agree 105%. Treasury would know how to absorb such a figure! And it pays to remember that their counterpart in USA is privately run, and has watcher/auditors that ensure it is kosher, but the watchers have themselves been captured and face rebuke or dismissal for exposing bad behaviour. My theory is that Grant Robertson gave her the script to read and he wants her discredited so that he can assume the leadership after next year’s election humiliation. Minimum wage of $15.25 an hour for 40 hours for 26 weeks is $15,860 per person. That assumes it’s 40 hours per week, and not 30 (full time for benefit and immigration purposes is 30). Also, they will pay tax as normal which will decrease the net cost to government, and they are already receiving a benefit, so that amount does not have to be budgeted for either. More indirectly, they will pay GST on most of their spending, so the government will get that back as well. Add in the cost of mentors and the administrative costs and she is still wrong. Minimum cost would be $120M . Twice what she claimed. Surely she is not that innumerate? PS No one on minimum wage pays tax!!!! Her costings are so badly wrong that the policy will be scoffed at. I still blame Grant Robertson. He wants to burn off any competitors. Not sure where you get the “no-one on minimum wage pays tax” from – NZ does not have a tax-free threshold, so people on minimum wage most certainly pay tax. People on minimum wage with children may receive more in Working for Families than they pay in tax, but that’s not the same as no-one on minimum wage pays tax. I haven’t had a chance to read the whole document yet – can’t read off a screen – need a hard copy. There was a period in the not too distant past when the Labour Party was decidedly not the party of work and of working people. As a starter, would it not be a good move to specifically repudiate the Rogernomic era and get it out of the way? Or are there still too many neoliberals within the party? Goff’s gone now – he must have been one of the few remaining. He’s got himself a whole new trough to swill out of. Yes I am the same needing hard copy. And the patently untrue of Labour’s latest man-infestation. Which needs repudiating the Rogernomics toxic cocktail that Labour introduced to NZ, of which the malady lingers on. Anthony R had a pertinent post on that – link below. Thatcher was zombie zero. The groaning that passes as news is clearing that of the zombie horde. And Trump is the new bad guy on walking dead, he can kill anyone, he owns everything, just like Trump who says he could shoot someone, pays no tax, etc. Good question, well asked. Unless and until Labour has an honest reckoning with the people over its actions during the Rogernomics years it will continue to lack legitimacy as a progressive political organisation. No sign of that happening any time soon, AFAICS. The FOW report does not propose “the tentative implementation of a universal basic income”, as you say it does. It merely kicks for touch and says we might look at it after other countries adopt if first. Hardly a ringing commitment to Labour’s once proud record of leading the world in socially just policy. There are other, even more egregious, instances of the report falling short of the political rhetoric. The much-trumpeted retraining grants for workers made redundant by technology (and rapacious bosses) are remarkable chiefly for their lack of substantive detail (like: when? where? how often? how much?) plus a near-total omission of how a future Labour government expects to pay the costs of its largesse (borrowing from financial markets at the going interest rate, increasing taxes, or cuts from somewhere else?). Once again, Labour’s pathological desire to be best friends with everyone leaves its flagship policy for 2017 looking like a sick joke. It’s just as well nobody believes a word of it.